Danyun is a for-profit-nonprofit organization with a mission to bring prosperity and Hope through partnerships with a focus on Yunnan. At Danyun, every product has a true story behind it. These stories are uplifting. They are about freedom from poverty and achieving basic human rights, such as access to food, shelter, education, and basic health care. And they are stories about equality and dignity for all people. For nearly 20 years, Danyun has practiced core values that create positive change through lasting partnerships and trust. We believe in building environmental, economic, and social sustainability. We esteem culture traditions that nurture the human spirit. We aim for the highest quality of products and service and we invest in sharing information with those we serve. Danyun works to eradicate poverty through our direct connections with low-income artisans and farmers. We market their crafts and foods, find joint solutions to their challenges, and help them grow and embrace the future. Danyun is the first International Fair Trade organization in China and have been a member of World Fair Trade Organization, WFTO (formerly IFAT) since 2001. We support equal rights for women. And of course, we pay a fair wage. Danyun believes in generating sustainable rural development by creating new business opportunities, micro-enterprise projects, and fair trade products. 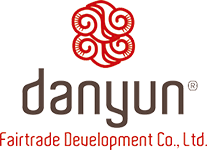 Danyun partners with over 200 women in handicraft (Threads of Yunnan) and more than 600 families in the tea project (Tastes of Yunnan). In addition to the handicraft and tea projects, Danyun is involved in community development through training and education, as well as assisting the communities they are involved in with building houses, schools, clinics, clean drinking water etc. WHAT IS THE CORE OF OUR ORGANIZATION? It is at the center of everything we do as a company – inspire the people to better their own lives, make advances with new technology and training, and raise the standard of living permanently.